Derek Cianfrance writes and directs this drama adapted from the novel by M.L. Stedman. Michael Fassbender plays Australian Tom Sherbourne who returns home after fighting in World War I. 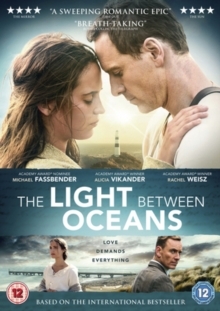 He and his wife Isobel (Alicia Vikander) move to a remote lighthouse where they live in solitude for years. Their inability to conceive a child places a terrible strain on their relationship. When one day a baby washes up near the lighthouse in a boat they decide to raise her as their own, convinced this is a message from God.